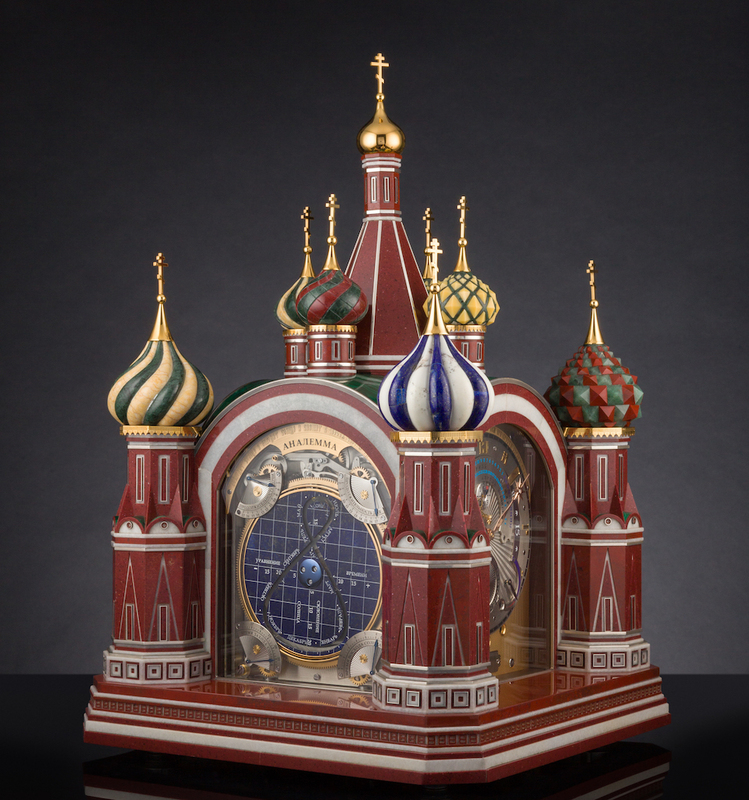 Russian inventor and independent watchmaker Konstantin Chaykin, member Academy of independent watchmakers (AHCI, Académie Horlogère des Créateurs Indépendants), presents in BaselWorld-2017 his latest masterpiece – supercomplication astronomical Moscow Computus Clock. To say that mechanics developed by Konstantin Chaykin is impressive – it is nothing to say. Movement of incredible complexity is composed of 2,506 parts, it has 4 dials and powers 26 complications and indications. 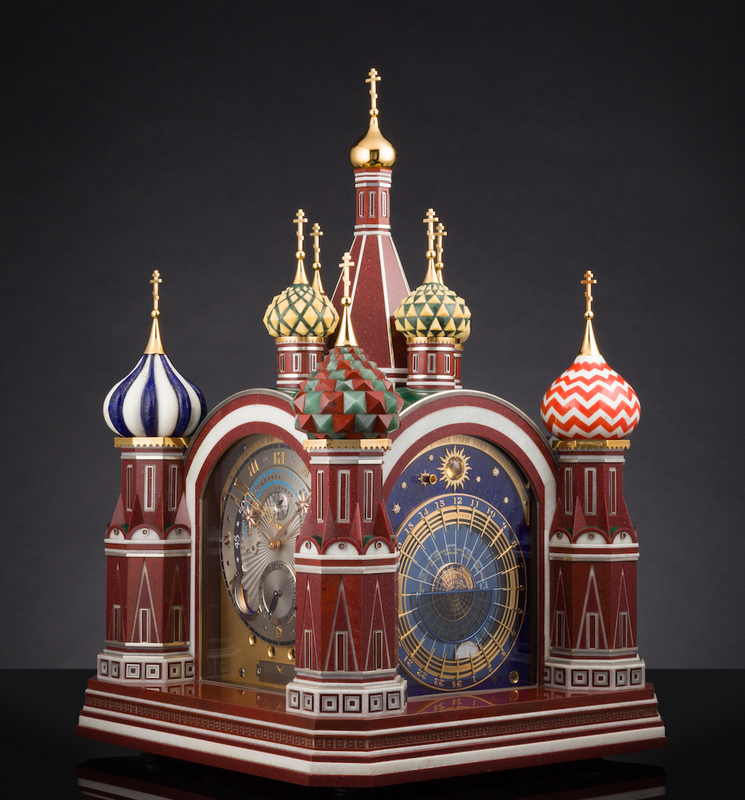 No clock of comparable level of complexity was ever produced in Russia, it took no less than two years to create conception, develop and assemble movement and build artisanal semiprecious stones case. 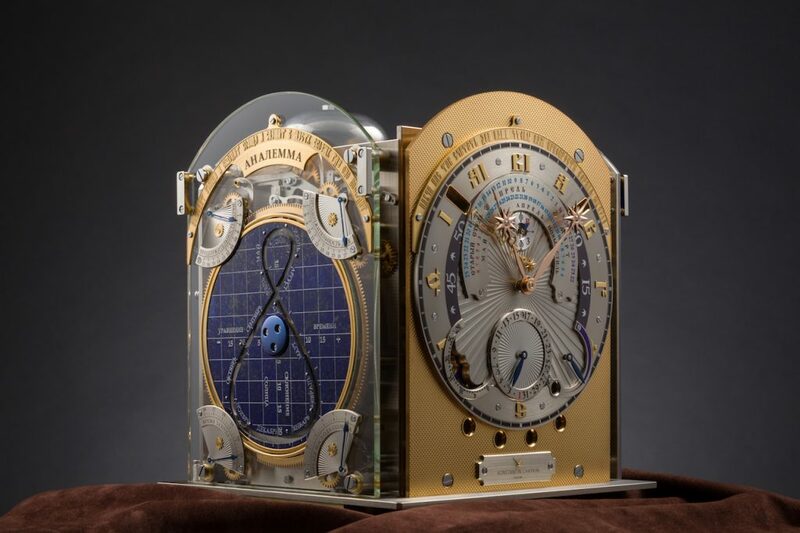 Louis Zimmer (Belgium), Jens Olsen (Denmark), Frédéric Klinghammer (France) and Paul Pouvillon (France) created astronomical clocks with Computus in 20th century. 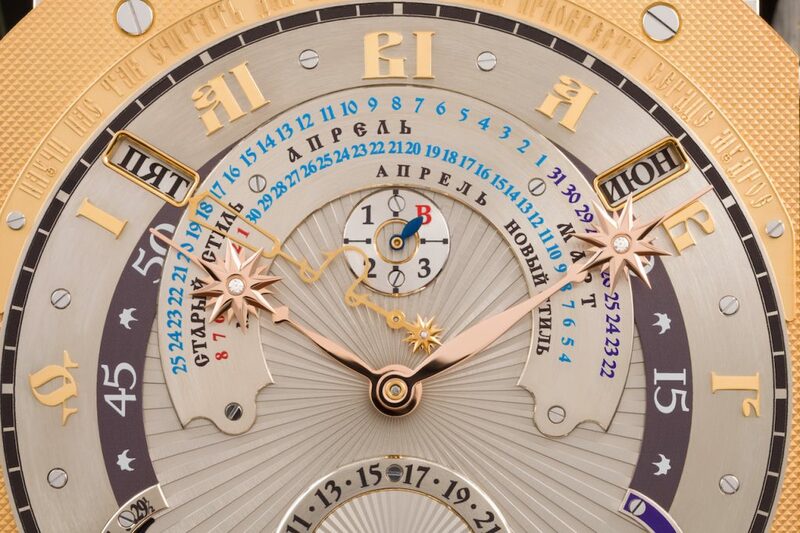 Konstantin Chaykin had developed algorithm and automatic counting mechanism for Computus intended for display Orthodox Easter date, the first in the history of watchmaking, in 2007 (Resurrection clock), further developed for Northern Computus Clock in 2015 and now for Moscow Computus Clock. Computus mechanism sleeps throughout the year, and wakes up just ten minutes prior to the start of new year. It is one of the most astonishing horological function lasting couple of minutes of 525,600 minutes composing a year: Easter hand leaves Easter date of the previous year, goes deep to the left and then arises, slowly approaching Easter date of the new coming year. The mission is completed. But the story continues. There are 25 functions more, and surely one of the most spectacular is unique analemma dial. “I have been thinking about the analemma complication for 9 years”, notes Konstantin Chaykin. 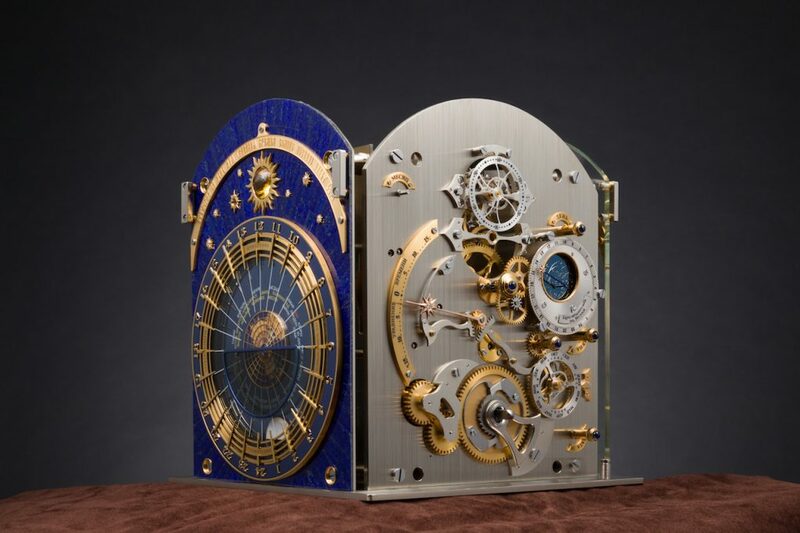 “For all these years, no matter what I had been working on, I kept the dream to incorporate intriguing astronomical phenomenon into clock. During 9 years, I invented several variations of analemma mechanism, and the most elegant technical solution I have decided to put into Moscow Computus Clock”. The analemma dial is really intriguing, it shows exact position of Sun in the sky if you will capture it in course of the year every day in the same moment if local time, i.e. at 12:00. This complication isn’t rare. 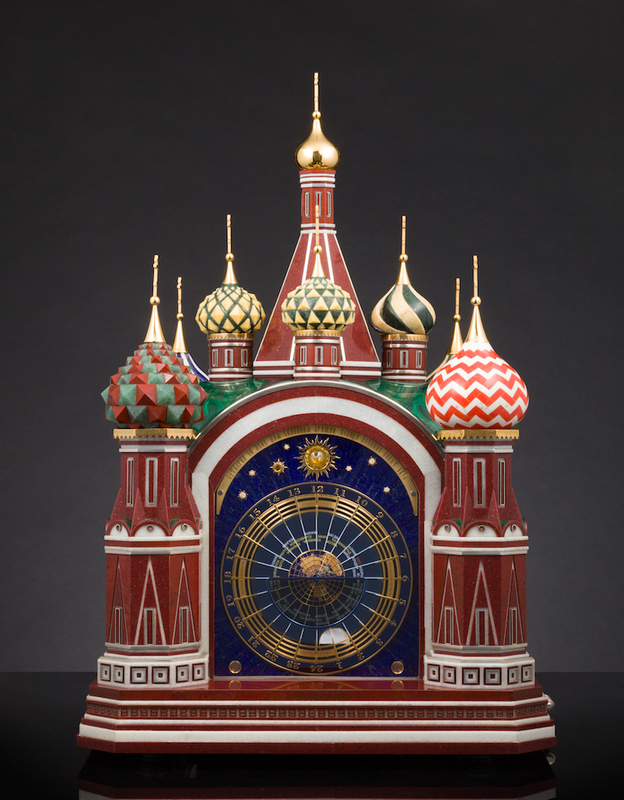 In real it is unique because Konstantin Chaykin was the first who invented it and used for the first time in Moscow Computus Clock.